Velar: an unusual name for a vehicle with an even more curious history. It was first used by British Leyland nearly fifty years ago during the final stages of development of the vehicle that eventually was to become the iconic Range Rover. Instead of plastic cladding, camouflage panels, and tape, these development Range Rovers bore a minimal ‘disguise’ – simply being rebranded ‘Velar’ to throw the media off the scent of this new vehicle. According to most sources, the name was derived from the Italian verb velare, and the Spanish word velar, meaning to veil or cover up. This identity was concocted by Alvis engineer Mike Dunn, apparently after he was requested to create a name using letters from Alvis and Rover, the two companies involved in the development of the Range Rover. However, other sources offer a much simpler explanation for its origin – indicating the name was an acronym for “Vee-Eight LAnd Rover” – since it was to be the first Rover product using a newly sourced Buick-developed V8 engine. While there is no official confirmation that this is indeed the case (or at least none I could find), it looks more plausible than the Alvis-Rover explanation. Anyway, the moniker was worn by a total of seven engineering prototypes and 26 pre-production cars before Range Rover production started in 1970. Now, Velar is back, designed as the fourth member of the Range Rover family to (according to Land Rover) fill the space between the Evoque and the Range Rover Sport. And, after a closer look at its specifications, it seems this Rangie lives up to its name, as it is essentially a veiled Jaguar F-Pace cloaked in Land Rover attire. Or is it? Land Rover maintains that the Velar was born from reductionism, articulating technology-enabled design to provide the next logical step in broadening the Range Rover portfolio. Sounds very impressive, but basically it means Jaguar Land Rover (JLR) reduced cost by using the already developed lightweight architecture of the F-Pace for a Land Rover product. Slightly longer and taller than its Jaguar sibling, it shares the 2,874 mm wheelbase of the F-Pace and its large wheels and tyres. While it may not differ much under the skin, the rest of its attractive design is unmistakably Range Rover, with its floating roof, clamshell bonnet, long rear overhang emphasized by a deeper front bumper, enlarged apertures, and Black Pack detailing (including Narvik Black contrast finishes) on our striking red R-Dynamic model. However, while touted as radical in its interpretation of the brand’s DNA, the Velar still bears too much semblance to its siblings, making it (the Sport guise in particular) difficult to distinguish on the road from the rest of the JLR-family. Still, its design brims with advanced technology, such as the most slender full-LED headlights ever on a production Land Rover, and the very noticeable flush deployable door handles with subtle LED illumination. 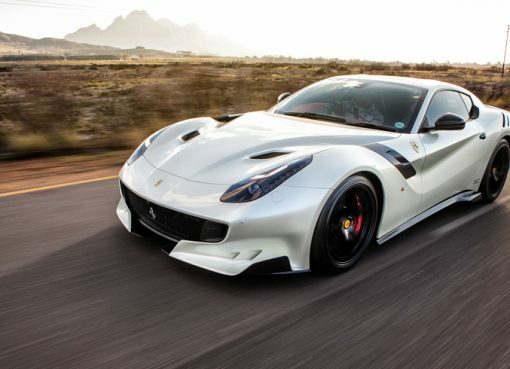 They quickly deploy when the doors are unlocked, and retract seamlessly into the doors when the car is locked, or at speeds above eight kilometres per hour. The real difference is inside. The dash design gives new meaning to reductionism, with minimalistic extras. State-of-the-art technology has been integrated into centrepiece double 10-inch high-definition configurable touch screens via the world-first Touch Pro Duo infotainment system. Plush Windsor leather upholstery for the seats, with 20-way adjustment and heating, cooling, and massage functions in front, rear seats with heating and electric recline options, and a four-zone climate control and cabin air ionisation system turned the interior into a calm sanctuary. 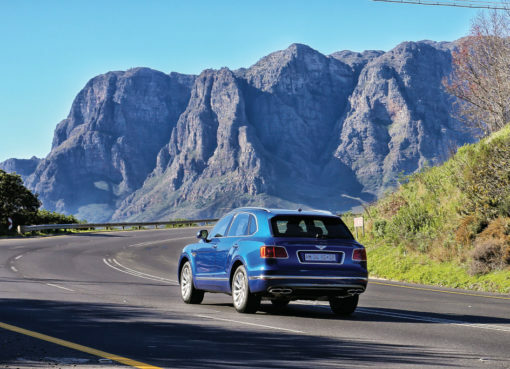 By now we were on the N12 highway, direction Mpumalanga, appreciating the quietness of its spacious cabin (with a class-leading 673-litre luggage space) and the serenity of its air suspended ride on the smooth blacktop. Soon we were on the N4, and from Waterval-Boven – where it changes to a crowded single-lane road – overtaking was a breeze in our potent P380 derivative. Numerous stop-go’s for roadworks later, we turned off on the R539. On this sweeping, winding road, the Velar showed its true potential. Its chassis dynamics were reminiscent of its F-Pace S relative, with the responsive eight-speed ZF auto transmission smoothly sending power to all four wheels. But, scything through the corners, the suspension setup of the Velar felt less sporty than that of the Jaguar, underscored by more body roll in the corners and some engine lag out of the turns owing to its bigger mass. Still, it is no slouch when hustled, and before long we were on the R37 headed for Sabie and the cluster of waterfalls surrounding the picturesque Mpumalanga town. Our first objective? The particularly pretty 164 metre high Bridal Veil Falls that lay a mere six kilometres outside the small town. On our way there, we encountered some badly rutted dirt roads. This was the ideal opportunity to test the Auto Access Height function which, in off-road mode at speeds below 50 km/h, increases the ride height by 46 mm compared to Normal mode – for a class-leading ground clearance of 251 mm. 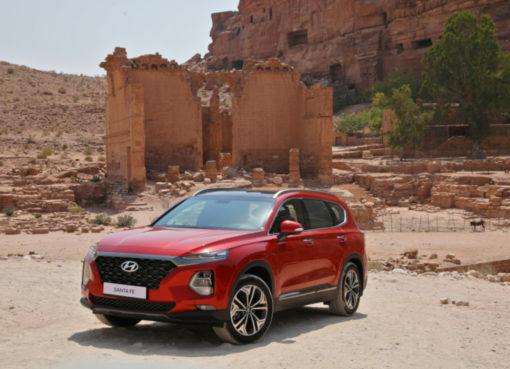 However, even with Adaptive Dynamics operational (to optimise suspension stiffness in all driving conditions) the ride quality was hard and harsh over the broken terrain – perhaps owing to the good-looking, but impractical, outsized 20-inch wheels and tyres. After a bumpy ride, we thankfully reached the parking lot and walked to the falls less than a kilometre away. Surrounded by green and verdant flora, the fall does its name proud: the fine spray from its thundering 70 metre drop forms a misty, thin veil over the cascading water mass. Legs stretched, we headed to the Lone Creek Falls, another four kilometres further West on the Sabie River. This spectacular fall presented the perfect setting for our photoshoot, but we also explored some other falls in the vicinity (the Sabie Falls, Mac-Mac Falls, Horse Shoe Falls, Forest Falls, and Maria Shires Falls) just to make sure. Having completed our panoramic day trip, we overnighted at the delightful Premier Hotel The Winkler close to White River. Centrally located on the Panorama Route, it is ideally situated for those planning to visit local attractions such as the Cascades and Montrose Falls close to Nelspruit (Mbombela), and the Panorama, Lisbon (the highest falls in Mpumalanga with a drop of 94 metres), and Berlin Falls close to Graskop. After a hearty breakfast the next morning, we returned to Gauteng via Long Tom Pass on the R37 between Sabie and Lydenburg (Mashishing). 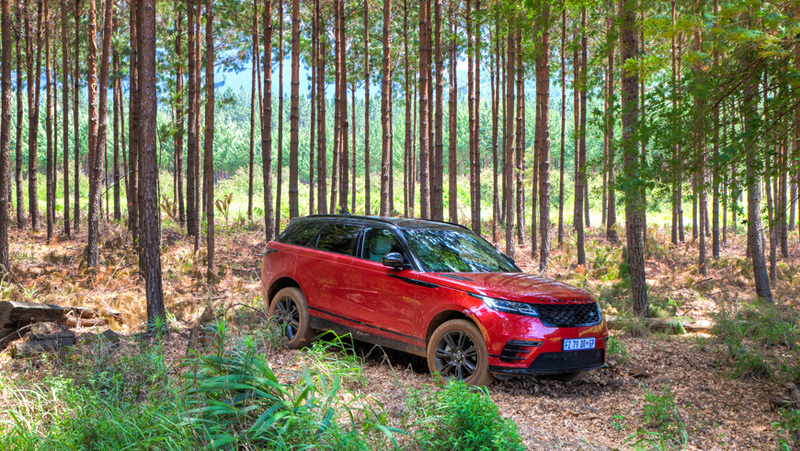 Named after the famous Long Tom cannon of the Second South African War, the route of the pass starts at 1,456 metres and climbs 682 vertical metres to its summit altitude of 2,150 metres, and its winding nature with numerous hairpin corners presented a final test for the Velar. It handled gracefully and with aplomb; its unique engine note barely noticeable under hard acceleration, and its comprehensive suite of advanced driver assistance systems discreetly intruding when appropriate. The new Velar may share some F-Pace traits, but it simultaneously brings a new dimension of presence, modernity, and minimalist design to the Range Rover family, and offers high levels of luxury, refinement, and all-terrain capability. It is an exemplary road trip companion (when fitted with the correct footwear), but comes at a price: R1,356,900 in normal P380 R-Dynamic HSE trim. Add all the extras fitted to our test model, including a panoramic sun roof, 1,600 W Signature Sound System from Meridian, and rear seat HD touchscreens, to name a few, and it jumps to a heady R1,624,500.